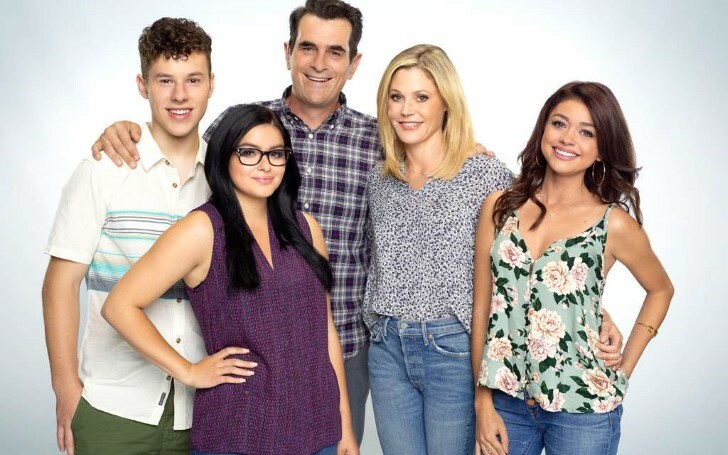 Modern Family announces, show to end after its 11th season. This may be sad news for all the Modern Family viewers & followers as the show is about to end after it's ten successful seasons. It is confirmed by the president of ABC, Karey Burke broadcasting on Television Critics Associations on the winter press tour, 2019. The show is created by Christopher Lloyd and Steven Levitan, firstly broadcasted on September 2009. The show gains a tremendous amount of admirers and viewers from its initial seasons. The show won more than 35 awards such as Primetime Emmy Awards for outstanding comedy Series subsequently from the year 2011 to 2015. Likewise, Critics Choice Television Awards 2012, Directors Guild of America 2010 & 2011, British Comedy Award 2014, Kids Choice Award for Favourite Female TV star 2015 and so on. After the emotional announcement of the show, the crews and cast member posts their affection and sorrow towards the show.
" I feel so proud that we were recognized amongst so many other great shows"
"What an amazing ride this has been! I can't wait to return for a final season with my Modern Family." So, guys are you ready for the final season! Though it may be tragic news for Modern family fans, still the last season is yet to arrive. Who knows there may be some twists regarding the future seasons of Modern Family. Let's hope for now.